Iron cannons were made by blacksmiths, so consequently were plain, practical and inexpensive compared to bronze ones. Bars of iron were welded together to form a tube, with reinforcing rings shrunk around the outside. Our replica is of a 17th-century Royal Navy 24 pounder carriage gun and, typically, is devoid of decoration and built for hard duty. Complete with lashed restraining ropes - necessary because when fired, the gun could recoil three feet inside the ship. 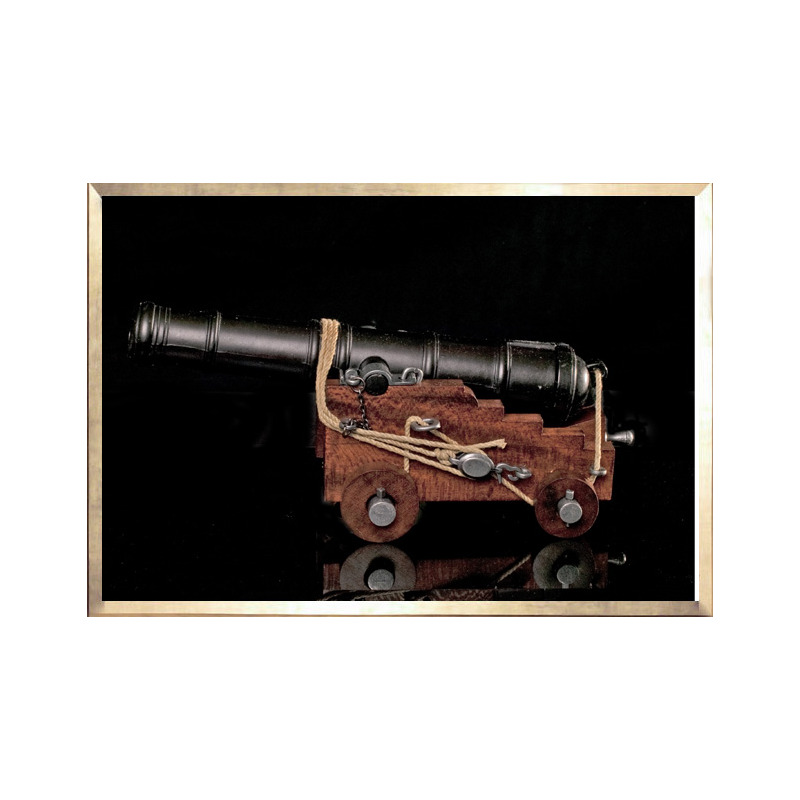 With a barrel of black alloy, the 12 pounder cannon is mounted on an oak-stained timber carriage with wooden wheels.